I have always been puzzled by Mary's failure to recognize Jesus. Didn't she know Him well? Hadn't she observed Him at close quarters as one of the women who served His itinerant ministry? Why this failure to recognize him? "Such can be the blinding effect of profound emotions. 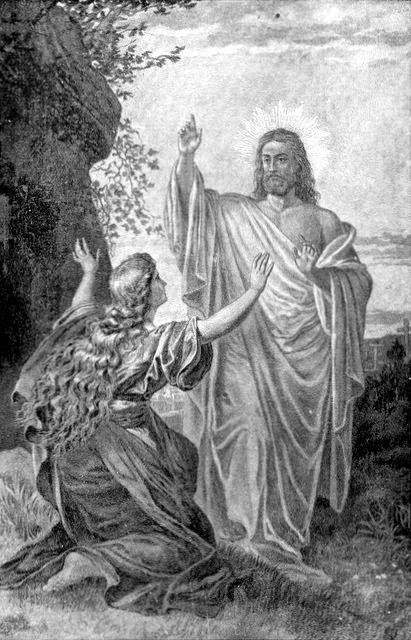 In this case, her inability to recognize him also seems to be due to the character of Jesus' resurrection body, since such failure is typical of encounters with him (cf. Matthew 28:17; Mark 16:12; Luke 24:16, 37; John 21:4)" - IVP Commentary of the New Testament accessed through "Study This" on Biblegateway.com. This is by no means the only time Jesus wasn't recognized, though. A failure to recognize who He really was in His person and work was a common reaction to Him while He was on earth. Isaiah predicted this blindness - Isaiah 53:3. Though the disciples were guilty of this same reaction for much of the time Jesus was with them (John 14:9), they eventually got it. Look at what John says in His gospel, written some 50 years after Jesus' death and resurrection: "He was in the world, and the world was made through Him and the world did not know Him" - John 1:10. The Jewish leaders of Jesus' time who looked on Him as their rival clung tenacious to their unawareness - John 9:1-34. Jesus predicted that bad things would happen to His followers because people in authority didn't and wouldn't recognize Him and His Father - John 16:1-4. "Whoever abides in Him does not sin. * Whoever sins has neither seen Him nor known Him" - 1 John 3:6 (emphasis added). "No one who lives in him keeps on sinning. No one who continues to sin has either seen him or known him" - 1 John 3:6 NIV. Jesus may come to us even now in many ways through the needs of our fellowmen (Matthew 25:34-40). Do we recognize Him here? PRAYER: Dear Jesus, please open my eyes to see You in the needy people all around me. Soften my heart to respond as surely as I would if it were You in person. Amen.